﻿ Cloud19 Panwa, Phuket | FROM $54 - SAVE ON AGODA! "Extremely friendly and helpful staff." Have a question for Cloud19 Panwa? "Good view at panwa beach Swimming pool." "Beside a beach room value for money." "Good view from the room." The Cloud19 Panwa is an ideal choice for the ultimate holiday. With a 4 star rating, this hotel is perfect for experiencing a truly fantastic getaway. The rooms at this hotel have beach, ocean, and garden views, so you are bound to be peeking out at appealing scenery. The hotel is near Ao Yon Beach, Ton Aow Yon Waterfall, Makham Bay, Khao-Khad View Tower, and Kao Khad Viewpoint. The Cloud19 Panwa offers a variety of facilities for guests to make use of throughout their stay, such as a private beach and a garden. This hotel has several convenient features, such as safety deposit boxes, a library, and a smoking area. It offers access to canoeing, so you and your friends or family can experience being out on the water. This hotel offers snorkeling, so guests can spend time exploring the aquatic life in the area. With guided tours available, it is a great place to stay to learn about your surroundings and see everything you can while you're here. The Cloud19 Panwa also offers non-motorized water sports, massages, and many more activities. It features a bar, a coffee shop, room service, BBQ facilities, and a poolside bar, so there is an assortment of dining and snacking choices. It is equipped with a kids club, keeping your kids entertained while you enjoy your vacation. 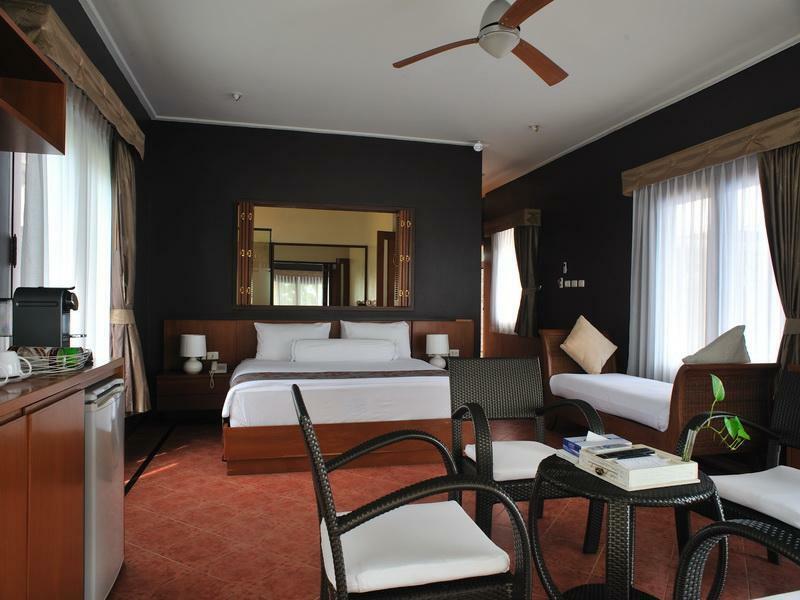 Equipped with family rooms, this hotel has adequate space to sit together. It is also equipped with a kids swimming pool to keep the children entertained throughout your visit. There's free Wi-Fi in all rooms, as well as Wi-Fi in common areas, so guests won't have to spend money on buying a local sim card. From a concierge to a babysitting service, the Cloud19 Panwa provides useful services for guests to utilize. All of the rooms come with air conditioning, a fan, free bottled water, and satellite or cable channels, as well as bathrobes, a hair dryer, a shower, a coffee or tea maker, and more. Enjoy a savory breakfast for free when you wake up, and start your day on the right foot. The front desk is open at all hours, so there is always a member of staff behind the desk to answer any questions that you have. 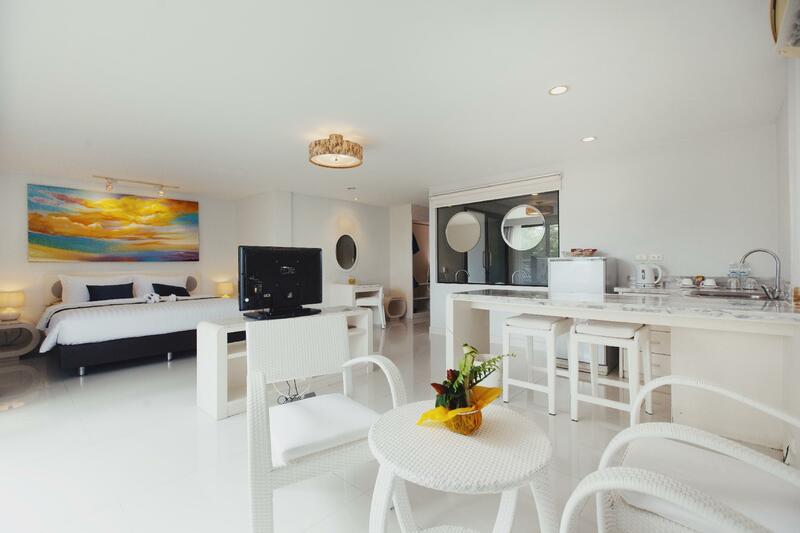 This Phuket hotel is pet-friendly, so you won't have to worry about finding a pet sitter while you're away. The spa is undergoing renovation from April 12, 2019 to April 30, 2019. Some areas will be affected by noise during this time. For further queries, please contact the property directly. Small but pleasant place with great staff and relaxed atmosphere everywhere. Beach is not for swimmers and the place is for adults, we as couple loved it. Nice rock spirit beach bar (name is actually Beach Bar) is just 5 minutes away from hotel, good food and drinks with great price. Warmly recommended. Pros: quite quiet, beautiful swimming pool, on the beach. Cons: the beach is dirty and you can't swim there. We booked a room with bath but only cold water for the bath, the hotel can't fix the problem. There's 2 glass lamps near the bed, the last night 1 pillow (out of many) drop of the bed while I was sleeping and touched the lamp which made the lamp fall and broke! They charged 1,500THB for that lamp!!!!!!!! lovely location, beautiful views. the sea wasn’t great to swim in but the hotel facilities are great. restaurants, markets nearby. nice spa. Extremely friendly and helpful staff. Clean and comfortable rooms. Quiet location with great food. The resort is remote and quiet. We were pleasantly surprised when they upgraded us to a Junior suite on the ground floor at no extra cost. 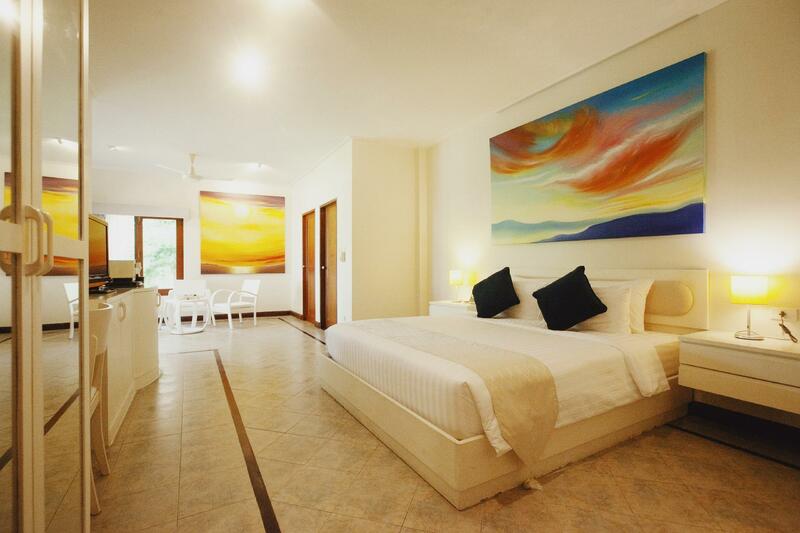 It's a beautiful spacious room with a large bathroom and magnificent balcony over looking the beach and sunsets. Happy hour is 5-7pm where you get 2 drinks for the price of 1. Beer, wine, spirits or cocktails. Breakfast is included which is standard stuff. Nothing to get excited over. The restaurant is outrageously overpriced. Stay clear. And the food is average at best. We got here late and were charged 1,400 baht for 3 simple meals with 1 Chang. OMG. Staff are friendly here and helpful. The swimming pool here is magnificent. Overall it's a very nice place but a little overpriced. If you like quiet relaxing locations then consider this place. Sunsets are spectacular. I live and work in Phuket and Cloud 19 is a great little get away when I get a few days free. Especially the jacuzzi on the balcony. We had 2 hotels in Phuket. After we came to Surin Beach,the other hotel we missed Panwa and Cloud 19 all the time. (Cloud 19 was the first one.) Beach is not perfect but OK. Sea is also not perfect,when there is a high water ok. In the rooms ,it is simple but efficient. Only negative thing was the bad. Too small and too hard. If someone likes to have peaceful holiday,highly recommended. Out of the four hotels I stayed in while at Phuket, this was by far the worst and ironically, the most expensive. The place is falling apart. The building where reception and the hotel restaurant is located is new, but the rooms themselves are located in a really old building. 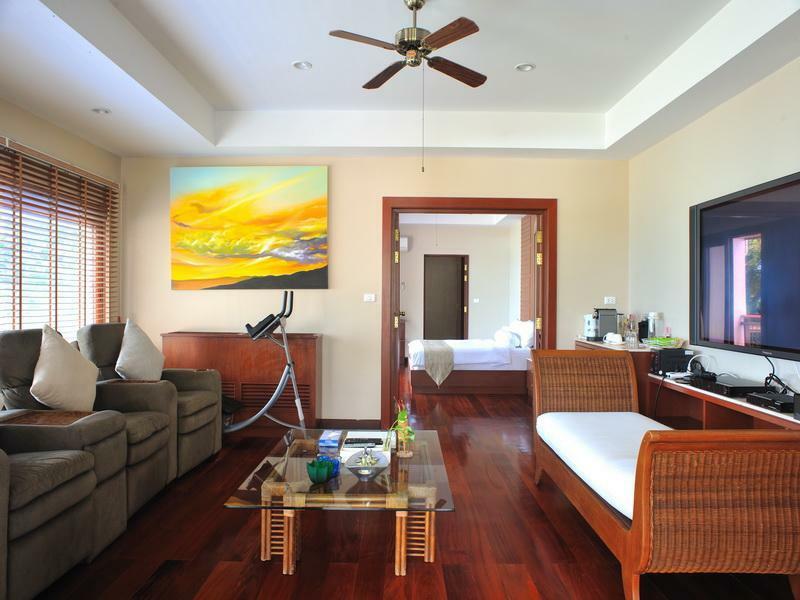 There are far better hotels to stay in at Phuket for half the price of this hotel. Look elsewhere. The hotel spaces are comfortable and peaceful, the pools very inviting. Thai food was delicious, typical resort prices. The view is stunning but beware the polluted beach, dirty, broken glass partially buried in the sand. More restaurants and coffee shops several kms walk away. Usual Phukhet taxi problems, if you just want to relax and hang out in the hotel buildings this is a great place. There is lots of neighboring construction, the peace won't last for long. Go sooner. Ideal facility if you are looking for some quiet time. Our experience would have been even better if the air conditioner hadn't been so noisy (it seemed to be older than the facility) and the fish and chips on the restaurant menu hadn't looked and tasted like the frozen product sold in supermarkets. I planned for a honeymoon and specifically chose this hotel, cloud19. Though, I didn't see much pictures of how the hotel looked like but upon arrival everything was unexpectedly perfect & wonderful. It was a very peaceful & beautiful place for a couple to spend their times together as we as recharged. Due to the fact that I had my two legs broken, walking upstairs or up/down the hill seemed a problem to me because there was no any lifts, and we stayed on the 3rd floor (top floor) but the view up there was worth struggling up/down the stairs. The foods were very delicious and the staff was always nice & helpful. Definitely, I shall be back here again for my next vacations and of course, we shall stay in a suite for the best total experiences. As the name of the hotel suggests, this is a great hotel for a retreat from the noisy thai streets. When we arrived the hotel was overbooked and the staff gave us a better and bigger room than the one we booked. It was amazing and over 100 m2. The hotel is a little bit away from Phuket Town, but there is taxi service and we had a rental car, so no problem with this. Anyways, we did not like Phuket town, so staying in the hotel was good for us. It is rather small hotel, so staying for longer can get a little bit boring, but they have XBOX and plenty of DVDs. The staff was excellent and very friendly. The breakfast is OK and inline with the hotel size. The restaurant was a little bit slow with the orders. Also the water in the pool was not super clean. These are the 2 things that they can improve. Other than that, we liked Cloud19 hotel and especially the friendly staff there. Nice hotel, nice stuff, quite area. 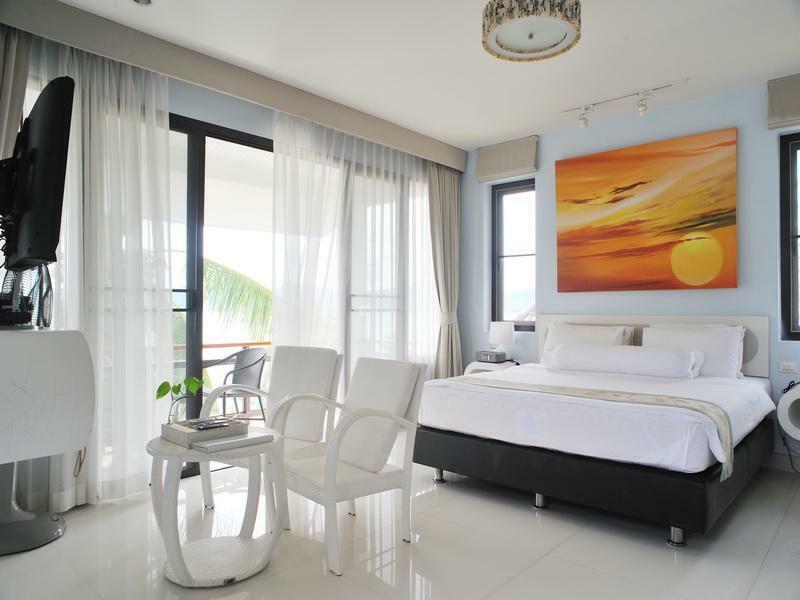 Fantastic option to stay in Phuket. Quite nice area. Excellent Hotel. Very nice stuff always trying to help you in whatever you need. Swimming pool is fantastic and clean in front of the sea. Nice room. Relaxing time there. I stayed three glorious nights at Cloud19 on a great deal from Agoda, and I could've stay many more. After three weeks traveling around Thailand, mostly partying, this quiet beachside hotel was exactly what I had hoped it would be. The room was extremely clean and I had no issues with Mosquitos in my room, thank god, and the balcony had an unbelievable view of the bay during sunset. The food was great and included many western options, so I ended up eating most of my meals there. The staff, particularly Kookkai and Nune, were absolutely amazing. They helped me book a few tours and all my transportation with a smile, and even negotiated lower prices for me on everything!!! They even gave me a jar of free cookies during my stay just to be nice! Cloud19 also have a lot of DVD's to check out if you just want to lounge around at night, which I appreciated more than I thought I would. The shower water was hit or miss on how hot it would go, but it wasn't an issue because no one wants a super hot shower in 30 degree weather. The A/C was super cold and the pool was great. The resort is right on the beach so you can enjoy the water at high tide and hunt for free clams at low tide, if that interests you. I just can't say enough great things about my stay here and I will definitely be back. One tip: the resort is at the very bottom of Phuket so a taxi will be around 900 baht from the airport and isn't close to Patong beach, where the debauchery is, but it's worth it if you aren't looking to party all night. Our last stay in Phuket at Karon a couple of years ago was enough to say we would never return again.But we decided to give it one more try and Bingo! We really did find what we were looking for; "A touch of paradise". This is the perfect getaway if you are looking for peace and quiet;stunning views;very friendly and helpful staff;the general manager Khun Jen is very approachable and more than willing to listen to your comments.The room was spacious and absolutely fabulous; just like living in your own apartment with all amenities. If you fancy a quiet night in, they have a huge library of dvd's you can borrow. When we do take a break, we hardly ever eat in-house, but out of 5 nights we dined three times.Everyone has their own idea of what makes good food; so we can only say that as far we are concerned, it was very acceptable and nicely presented and value for money; quite a good variety of wines as well. Also a la carte breakfast was great! Will we return??? Most definitely; so c u next year "Cloud 19"
We thoroughly enjoyed our stay at Cloud 19. Absolutely stunning views from the pool area. We stayed fairly high up in the hotel and the views from the room were also breath taking. Staff are friendly and willing to assist where possible. We rented a car during our stay which worked out far cheaper than relying on tuk tuks or taxis, and you really get a chance to see all the sights in the area. 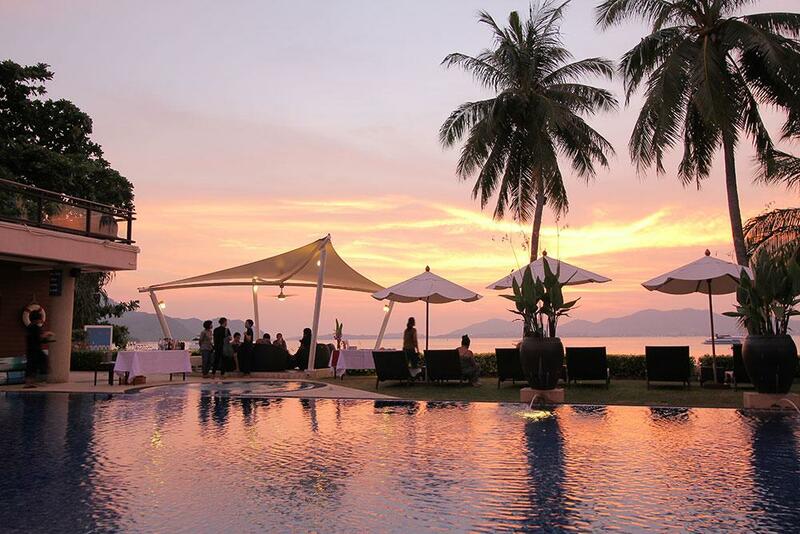 Do yourself a favour and visit the Sri Panwa resort and go for sun downers at their pool bar.